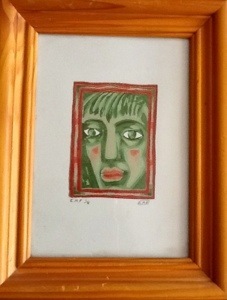 This green man, or man with a green face, was bought locally for £1.75. It is an original, signed print marked EMF 1/8 and signed LRB. Needless to say I can find out little about EMF or LRB although they are both the names of bands. I thought of The Incredible Hulk but decided he looked a little too pensive and not scary enough for that. So I looked up the history of green men. 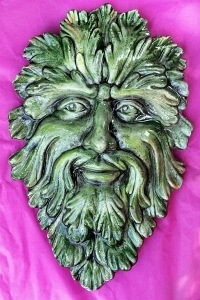 A traditional green man is usually surrounded by leaves and branches and is a figure from Pagan times. That green man is also found in churches and other sites across Europe. I don’t think he is that one. 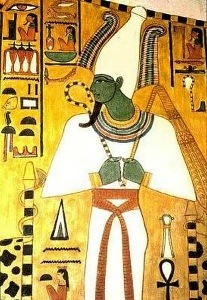 The ancient Egyptians showed Osiris with a green face and that dates back to 1295 BC. Definitely not him though. No, I think this artist just gave this man a green face because it suited him and I tend to agree. There is a very soulful expression on that face giving a rawness and naivety to the work. I like it a lot and I hope someone in Chipping Norton will like it too.